Cody’s Appliance Repair has provided Amana appliance repair for over 23 year! What that means for you is that our technicians have kept up-to-date on all of the latest information and training necessary to successfully service your appliances. We also screen our technicians with background checks and drug and alcohol tests, for your safety and security. In 1947, Amana appliance manufactured the first upright freezer for the home, and in 1949 it added a side-by-side refrigerator/freezer. In 1950, the company was sold to a group of investors including its founder, and became Amana Refrigeration, Inc.
Amana appliance was acquired in 1965 by Raytheon, which had invented the microwave oven in 1947. In 1967 Amana appliance introduced a consumer model of the Radarange, the first popular microwave designed for home use. 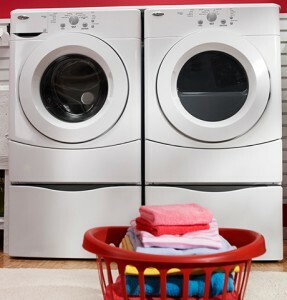 Amana appliance has since expanded into manufacturing a variety of other appliances including furnaces, ovens, countertop ranges, dishwashers, and clothes washers and dryers. In 2002 Amana was sold to Maytag, which was then sold to the Whirlpool Corporation. If you need Amana appliance repair in Boise, Eagle, Meridian, Nampa, Caldwell, Star, Middleton, Emmett, Kuna, Garden City, or Horse Shoe Bend, call us today at (208) 938-1066, or send us a service request online on our website. We are here to help.